Rising star Care To Think (4g So You Think x Slippery Madam, by Hussonet) stamped himself as one of the most exciting horses in Australia with a dominant win in the $1 million Woodford Reserve Magic Millions Cup at the Gold Coast on Saturday. Despite enduring a three-wide run for jockey Jeff Lloyd, the son of So You Think showed his class over the final furlong to kick clear and win the 1400 metre contest by a length. It was his fifth consecutive victory since taking a three-year-old handicap at Doomben in July. 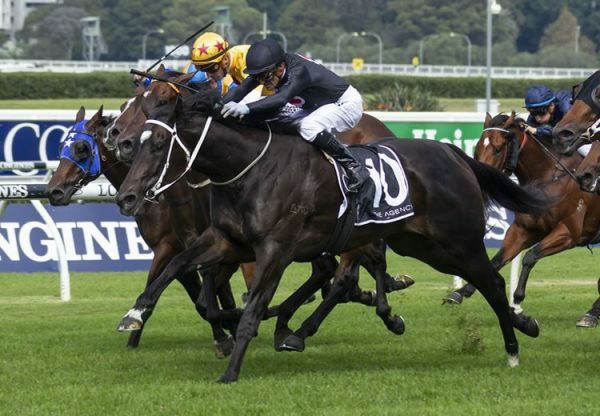 His Murwillumbah based trainer Matthew Dunn immediately hailed the four-year-old as the best horse he's trained and said Group I options in Melbourne, Sydney and Brisbane could be on the agenda in the coming months. "He's the best I've had," Dunn said. "He's done it the hard way, three deep with no cover and he's stepped up to a new level again today, he's a very exciting horse. "He's very special and if I can train him properly and keep him in one piece, who knows where he could end up. 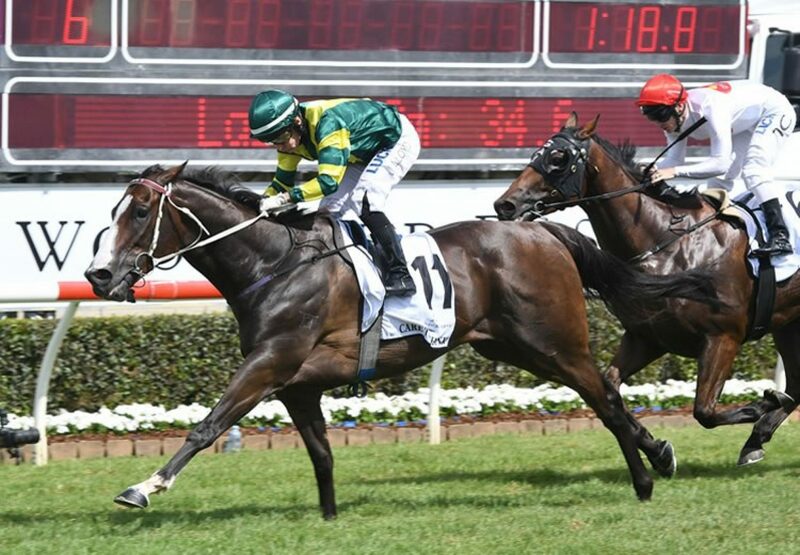 "I'll see how he comes through today and we'll decide which way we head with him, he could go to Sydney of Melbourne over the carnival or we could hold onto him until the winter here in Queensland." Care to Think was a bargain purchase, snapped up for just $16,000 by Neil Jenkinson at the Magic Millions National Yearling Sale from the Ambergate Farm draft. A winner of six of his 11 career starts, Care To Think's earnings soared past $840,000 with Saturday's victory. "We didn't pay huge money for him but we had a bit of trouble getting him done," Dunn said. "There were a lot of people who bought little shares and they split those up into smaller shares and it's fantastic to see them all allowed into the enclosure to enjoy this win." 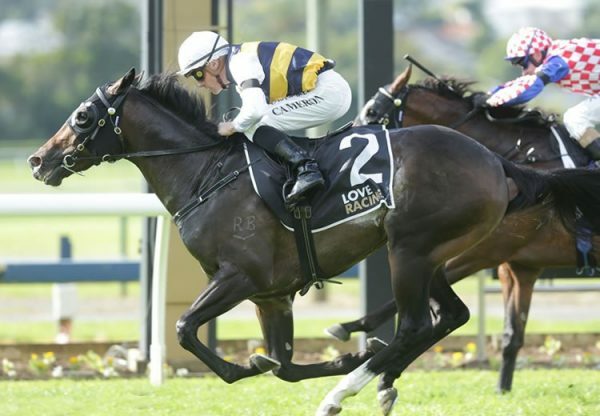 Despite the testing run throughout, Lloyd said he never doubted Care To Think's ability to overcome the setback, as he'd done when winning The Buffering (1350m) at Doomben last month. "He really came out quick and from there I thought I'd let him roll and if we get in, we get in and if we don't, you've got to have faith in these good horses," Lloyd said. "These good horses can overcome difficulty and he won well, it was pretty cosy." Care to Think is the best of two winners from Slippery Madam, a winning Hussonet (USA) half-sister to Group I South Australian Derby winner Reputed Groom, Group III winners Reputed Groom and Fumble. Slippery Madam is a grand-daughter of Group I South Australian Oaks winner Neliska, so given the staying blood in his female family, Care to Think might well end up winning a lot longer races as his career unfolds. 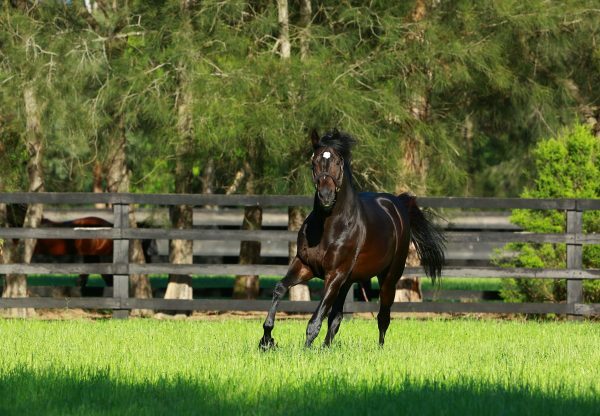 Care to Think is the fifth stakes-winner for So You Think, who also sired promising colt Calculated (3c So You Think x Calchris, by Commands) to run a brave third in the $2million Magic Millions 3YO Guineas.